The late Dr. Wayne Dyer once said if you would like to accomplish something you must first expect it of yourself. 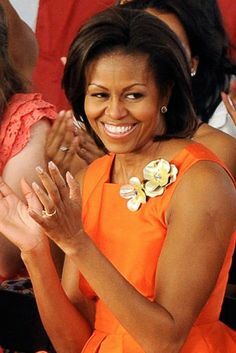 Regardless of your politics the first lady of the United States had high expectations when she entered the White House 8 years ago and she has delivered. 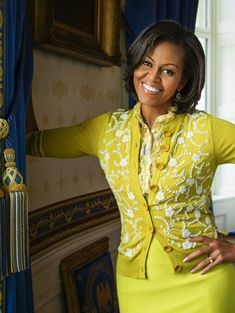 Mrs. Obama, age 52 has inspired men, women and children in the U. S. and abroad. 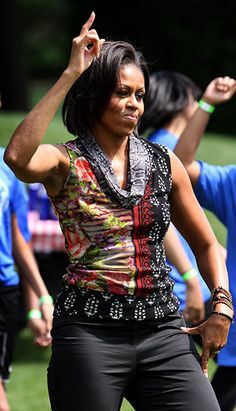 So in honor of her #GIMMEFIVE campaign, we at the New Face of 50 have identified 5 faces we will miss seeing when she moves forward to her next adventure in January 2017.
Who can forget President Barack Obama and First Lady Michelle Obama’s dance (to Beyoncé Knowles’s rendition of “At Last,” first made famous by Etta James) at the 2009 Neighborhood Ball in Washington D.C. It was an amazing evening that captured the nation as they were stepped into their new roles. Today, as we look back over the past 8 years, we can still see that love portrayed in photos. 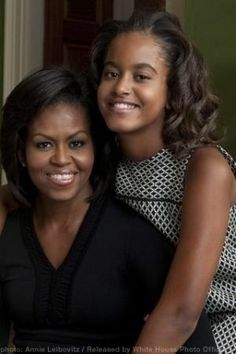 When the Obamas took office their daughters were pre-teenagers. We have watched these young ladies grow up over the past 8 years. Today they are teenagers preparing for college and life after the White House. 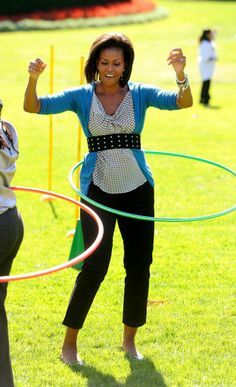 Mrs. Obama shared recently with More Magazine how she is focused on encouraging Malia and Sasha to be strong, independent individuals. She has also spoken about her number one role is Mom-In-Chief and that tops her agenda over any personal or political ambitions. 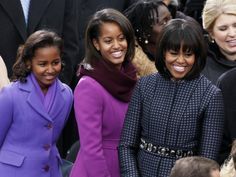 Below are a few photos of the Mom-In-Chief and her beautiful daughters. Mrs. Obama has been called an inspiring leader in heels. This Ivy League educated lawyer has almost 4 million followers on her twitter Flotus account where she often posts inspirational messages about and to young people. In addition to her posts, Mrs. Obama is a great motivational speaker. She has inspired people all over the world. Her commencement addresses at high schools and colleges in addition to her Let’s Move campaign to raise a healthier generation of kids are all evident that she not only hears her call but she executes it by being an example that motivates people to accomplish more. She makes no apologies for standing on her truth and using her platform to honor military families and inspire young people to value education and finish college. 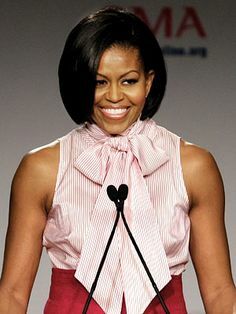 From the campaign trail to TV appearances, to the White House, Mrs. Obama has shown the world her sense of style. 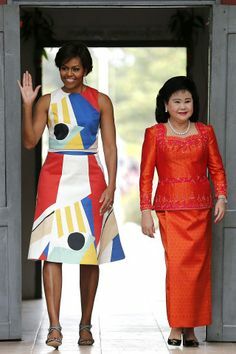 All you need to do is just google the internet to find several hundred looks that show how Mrs. Obama wears different designers known and unknown. Her beauty combined with the use of color palettes, accessories, makeup and hair styles make a constant fashion statement. Proverbs 18:16 in the Bible states that a woman’s gift makes room for her and brings her before great men. 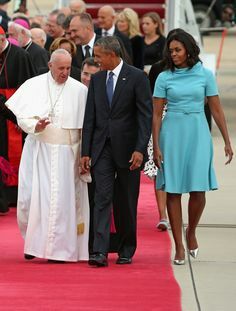 It is clear that Mrs. Obama is a woman of many gifts. She has been gifted with an amazing husband, children style, wisdom, faith, a platform, and favor. Because of the favor of God ( a special privilege or right granted) on her life, she has walked into her destiny and has entertained Kings, Queens, and other Heads of States that so many people can only dream about. 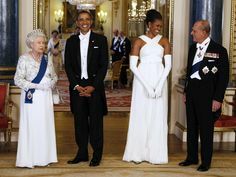 We are so proud of Mrs. Obama and below are a few photos that show her poise and grace as she meets those considered great from the world’s standards. 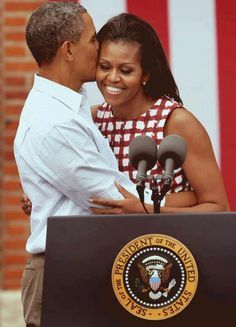 As the Obamas finish out their work in 2016, we congratulate them for accepting the call to walk out their purpose and know that this was just one phase of their destiny. Next story So You Want To Be Happy In Life?